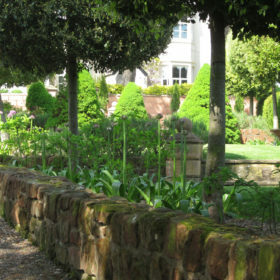 Beyond the Italianate gardens, the views pan forever across Shropshire’s blue-remembered hills. 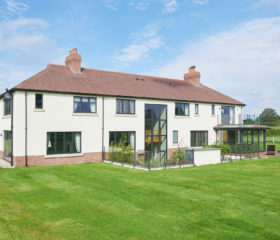 Catch the sun in the south-facing garden. Give it what for on the tennis court. Hit the cinema room for Netflix and nibbles. Let life pass you by, amid well-appointed, flame-lit, family-friendly luxury. 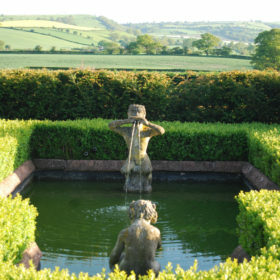 The views pan away beyond the Italianate gardens, across Shropshire’s ‘blue-remembered hills’. Breakfast in the orangery brings fresh delights every day. The terraces invite al-fresco dining. The tennis court gets a daily workout. And the complimentary home-made cakes just keep on coming. 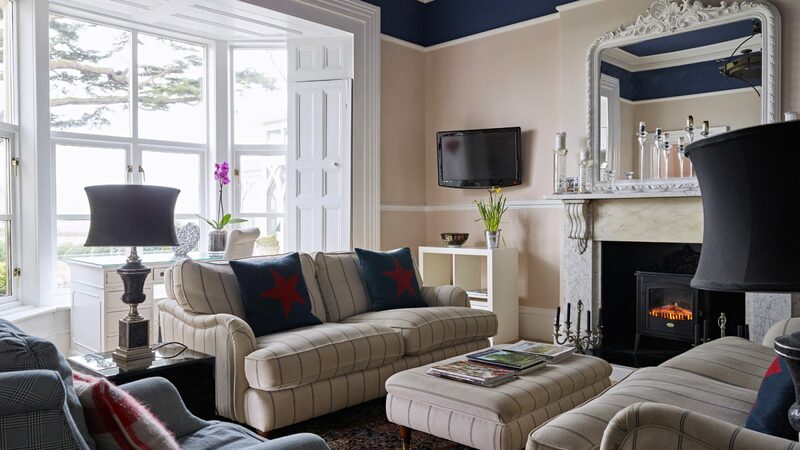 Albaston Lodge, sitting pretty where England meets Wales, is elegant but comfortable, polished yet relaxed. 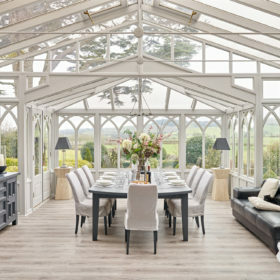 It’s a happy marriage of old-world charm and modern convenience where every age range will find something to love. 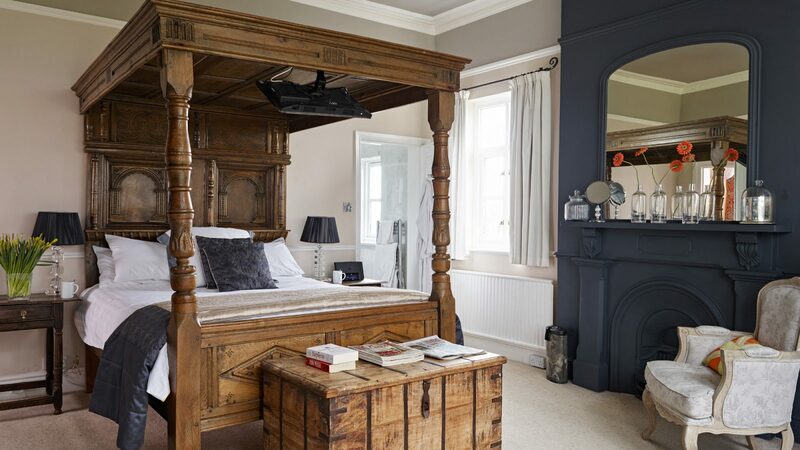 Sleeping 17 in traditional Victorian-Rectory comfort, Albaston basks in well-upholstered, well-appointed, flame-lit luxury for families and groups. Catch the morning sun in the south-facing garden. Challenge the kids to a game of doubles. Get together for Netflix and nibbles in the cinema room. Sleep in four-posters and wake to views of Long Mountain. Spread out, take over the house and Coach House, be catered for and live well. 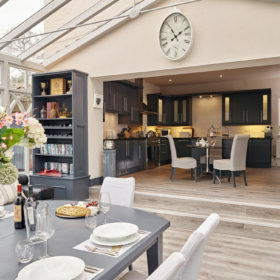 Dip into the bookcase to pick from the literature on local walks, tap into the wifi and docking stations, cook for yourself or be spoilt with belt-bustingly beautiful breakfasts and dinners. 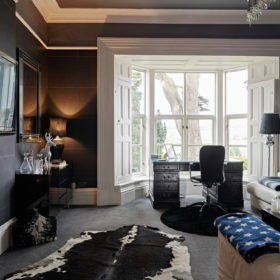 Curl up and read in the drawing room. 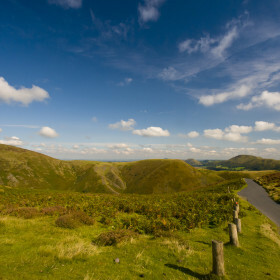 Let life pass you by as you soak up the silence and elevate the spirit among the Shropshire hills. 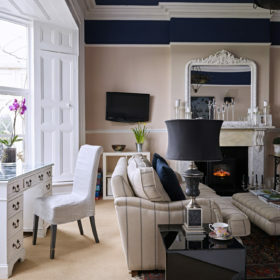 From your suite, you can keep the curtains peeled and gaze out over the three-quarters of an acre of sculpted Italianate gardens, keep an eye on the kids as they play hide-and-seek amongst the statues and hedges. Beyond the terraces, AE Housman’s ‘blue-remembered hills’ rise to greet big skies, and Long Mountain completes the vista. Find a spot out here to read and revive beneath the summer sun, or under a cosy blanket in autumn. 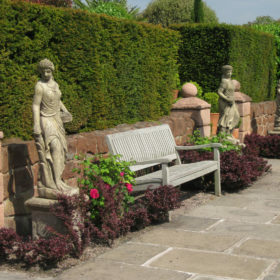 Get together to eat al fresco around the garden tables amid the mature planting and whimsical topiary. Manicured lawns await the summer pock of croquet mallet on ball. 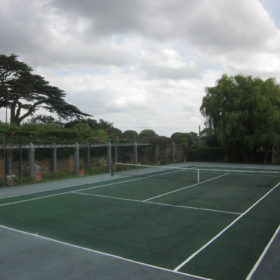 Follow the terraces down to the all-weather tennis court. Raid the small pavilion summer room for rackets and balls. When exhaustion strikes, replace lost fluids with a garden Pimm’s and refuel with high-energy home-made cakes (in endless supply). The final touch: soak up the luxury at any time of the day in the hot tub. 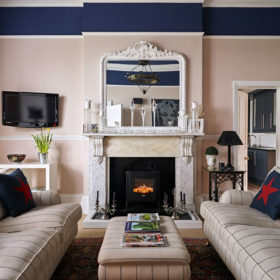 Ten TVs indicate the scale of Albaston Lodge and provide you with ample opportunity to escape, or get together around the 48” screen in the cinema room. A Playstation offers access to Amazon and Netflix and there’s a DVD library to dive into. So break out the popcorn and put the Prosecco on ice. Everywhere, the upholstery is deep and inviting, the ambience warm and welcoming. Wifi here is rural but rapid, making downloads a doddle. 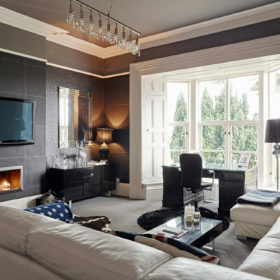 Dock your music and doze off in the deep armchairs, or throw a party in the drawing room. 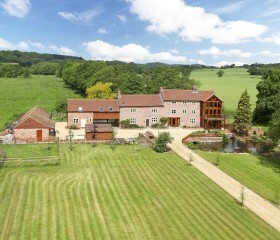 Albaston Lodge combines the comforts of a country house with the luxuries of modern living. In the living room and drawing rooms, flames dance in the fire, sofas are squishy, animal-print rugs lie in wait on the floor, and a desk and chair stare wistfully from the windows at the rolling green hills. Spaces here can get you together or let you drift happily apart. 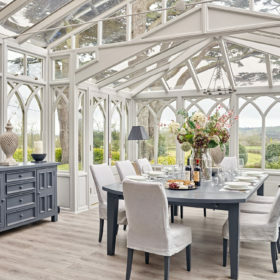 In the heart of England, the home of thick, rustic sausages, Wrekin Blue cheese, fresh, organic vegetables and succulent topsides, feel free to take to the gas hobs and electric ovens on the SMEG range. Alternatively, put your feet up and let us take over, with big English breakfasts and delicious dinners that celebrate local cuisine. 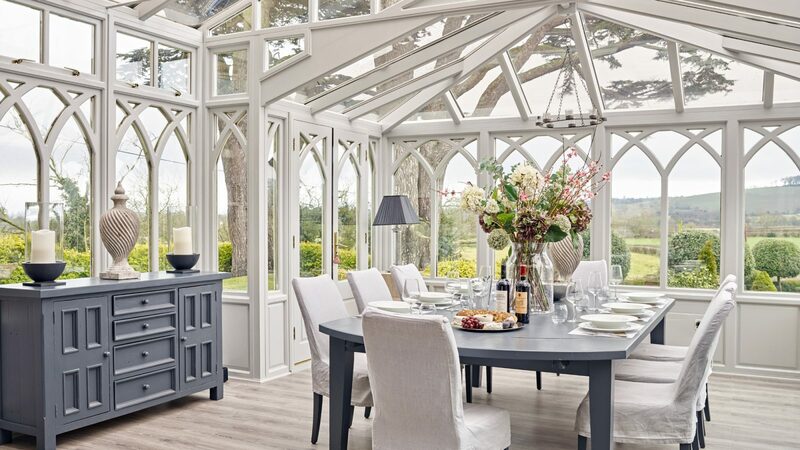 Dining’s a delight here around the orangery table, with light flooding in through the floor-to-ceiling windows, and the gardens and green Shropshire hills panning out in Cinemascope beyond. Or make the most of the clear country air and head out to the terraces to grill your supper on the gas barbie. Alternatively, get out and go gastro at The Windmill or enjoy the classic pub menu, beer garden and playground at The Old Hand and Diamond. Go for traditional Indian at Saffron Cottage or Bengal Spices, Chinese at Zenna, or Italian at La Dolce Vita. 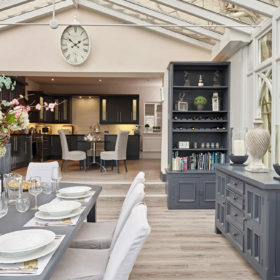 For fine dining, try House of the Rising Sun, a four-course meal at the Lion and Pheasant, or the five AA gold stars on offer at Draper’s Hall. 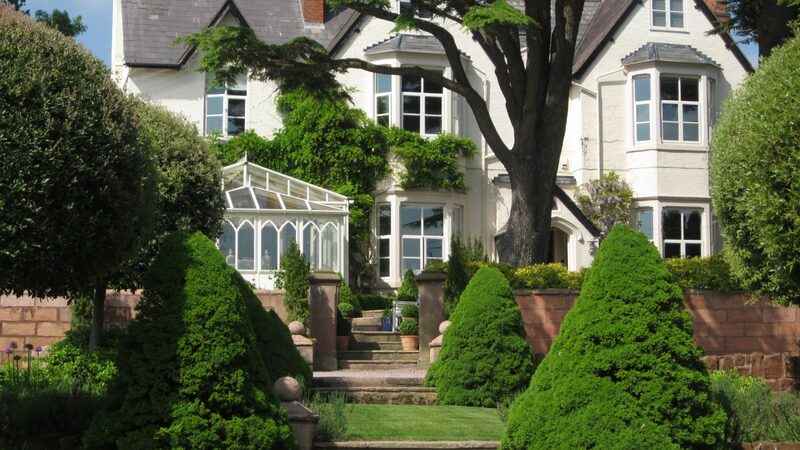 Over in Powys, The Chequers offers upscale French dining and the glittering promise of a Michelin star. Just minutes down the road, The Breidden is a cheerful Chinese. 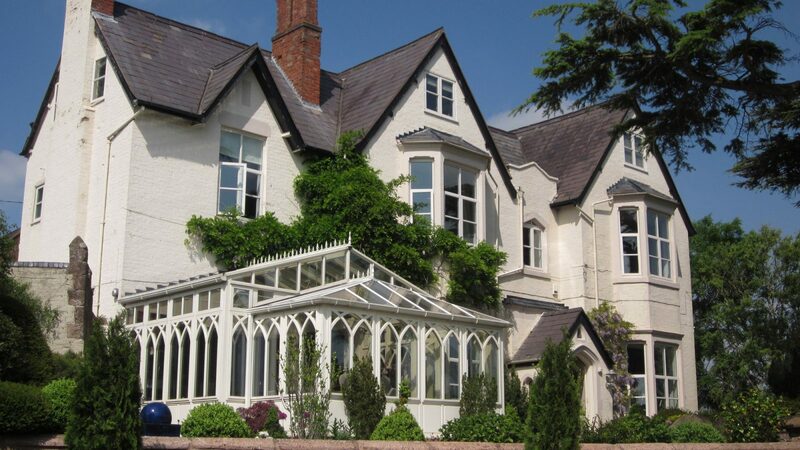 The rustic beauty of the Shropshire hills shines through every window. 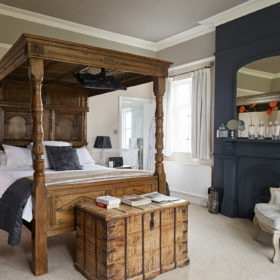 Seven bedrooms offer seating areas, four-poster beds, flat-screen TVs and ipod docks. Whichever you choose, you’ll sleep deep and long, undisturbed by the wind through the boughs of the ancient cedars that stand guard out front. 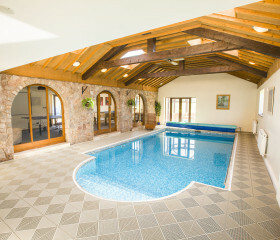 For a little privacy, pick the Coach House, sleeping four on two floors with an en-suite downstairs with shower and bath. There’s a king-size upstairs and a twin downstairs. Can’t be parted from your pooch? He’s welcome in the king. 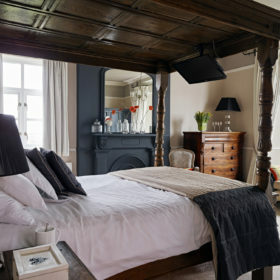 Gold also sleeps four, in one double sofa and one king-size bed or twins. There’s a luxury family bathroom just along the corridor. 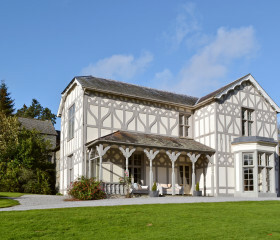 Grey sleeps two in a grand four-poster king-size, with another king or twins, and comes with en-suite shower room and verdant views. 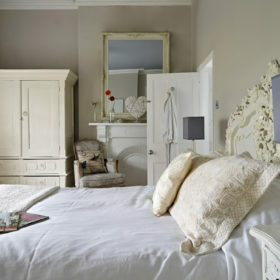 White sleeps two in a king with en-suite shower. 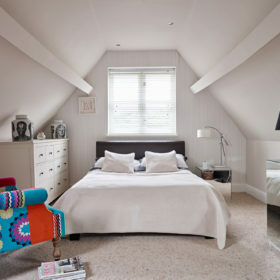 Moving on up, the Loft Room offers a standard double bed with shower en-suite. 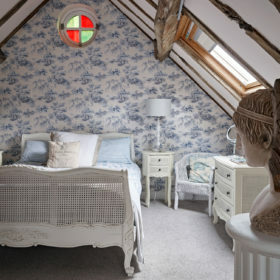 The Top Room also provides a standard double, while the attic area offers a single sleigh bed. These last two rooms share a family bathroom with a large bath and walk-in shower. 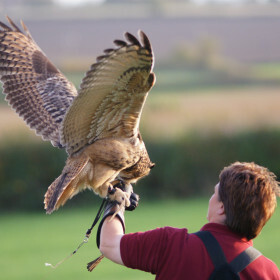 Kids will love the Shrewsbury Mystery-Themed Treasure Trail, the owls and hawks at Battlefield Falconry Centre, and the knee-knocking fun of The Adventure Rope Course. 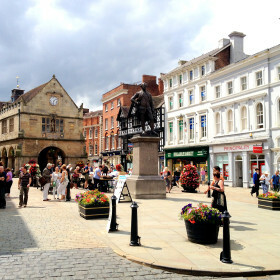 Grown-ups get a £5 day pass for the local spa, plus a world of castles and gardens, medieval Shrewsbury and God’s own walking country.